Please call Vision Literacy at (408) 676-7323 to make a credit card donation without registering with Google checkout. Please contact us to make arrangements to donate stock by calling (408) 676-7323. Together we can reach our goal of raising $25,000 by December 31, 2011 so that we can offer our highly successful Literacy Boot Camp program to even more adult learners in 2012. 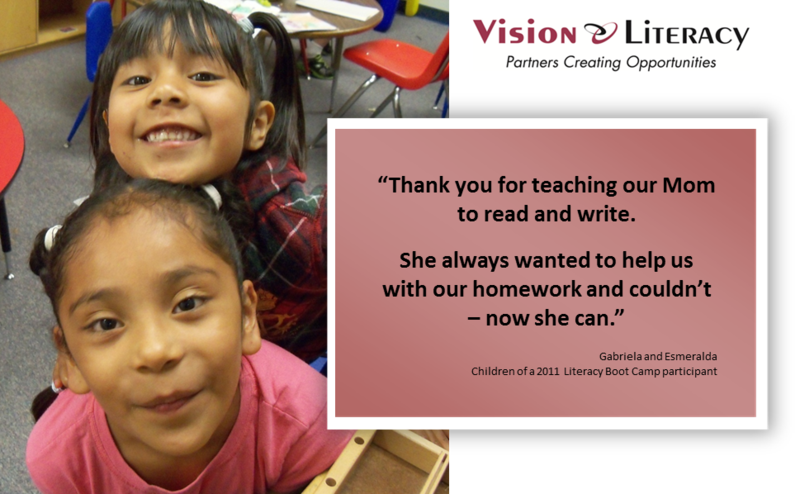 Any contribution you give makes a difference for our learners and their families; all donations to Vision Literacy, a 501(c)(3) organization, are fully tax deductible. With your help we can Change Lives.